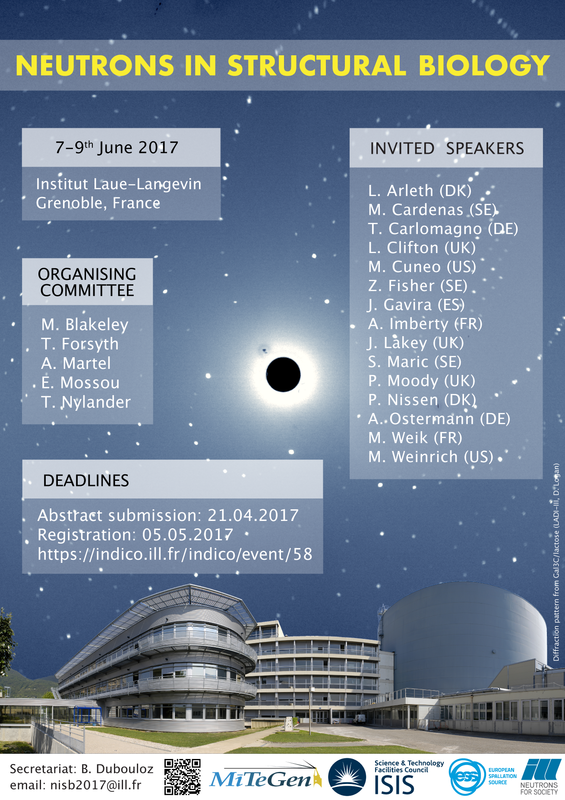 This is the second announcement for the Neutrons in Structural Biology meeting which will be held at the Institut Laue-Langevin, Grenoble, France June 7th-9th 2017. The deadline for abstract submission is the 21st April 2017, registration deadline is 5th May 2017. We hope that you will join us in what is expected to be an exciting meeting.